The Black Social Economy in The Americas, Exploring Diverse Community-Based Markets. Edited by Caroline Shenaz Hossein. 2018. 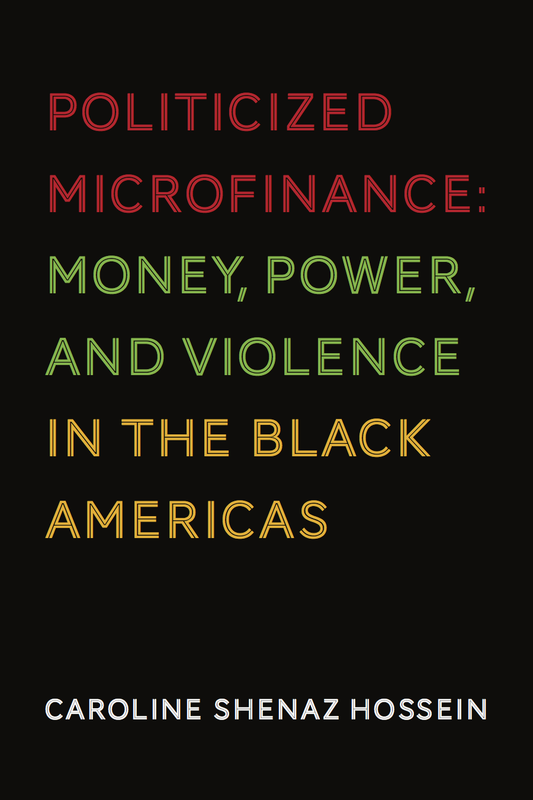 Politicized Microfinance: Money, Power, and Violence in the Black Americas. By Caroline Shenaz Hossein. Toronto University Press, Toronto, 2016, pp. 160. Winner of the W.E.B DuBois Book Award, National Conference of Black Political Scientists, 2018. Milford Bateman. Review of Radical Political Economics, Vol 1 No. 3, 2018. Roberta Rice. National Political Science Review, Vol 19 No.2. October 2018. pp. 34-136. Salewa Yinka Olawoye. Canadian Journal of Political Science, Vol. 50 No. 3. pp 885-887, September 2017.